Tiered pleated maxi skirt with beads detailing,creating pleasantly billowing volume. 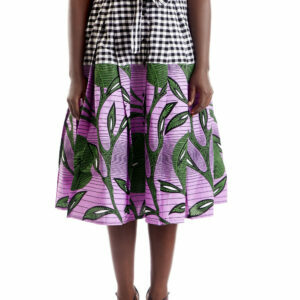 A – line wrap-style African print midi skirt with chiffon pleating . beautifully secured with a three side metal silver tone buckle closure. 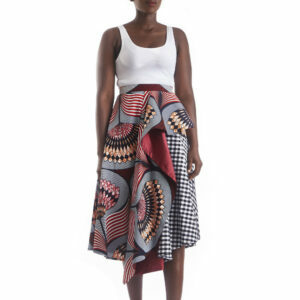 Vibrant multi print embolden this fun and flirty midi ruffle skirt, cut on the bias with drapery gingham asymmetric insert.